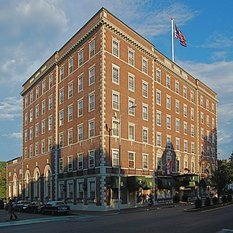 Numerous haunted hotels abound within the American Northeast region. It comes as no surprise that this area of the nation is considered to be among the most intriguing when it comes to haunted places, ghost mysteries, and real ghost stories as all nine of the states in the area were among the very first of the historical thirteen colonies that settled in the nation within the seventeenth century and are backed by an immense amount of cultural, social, and religious history. These states include that of Massachusetts, New Jersey, Maine, Pennsylvania, New Hampshire, Rhode Island, Vermont, New York, and Connecticut. The states within the Northeast are divided between those that are considered to be Mid-Atlantic and those that are identified as New England states. The Mid-Atlantic states was referred to as the “melting pot” in earliest of times due to the vast number of immigrants that flocked to the area from Europe. As time progressed, major routes for shipping developed along the major waterways. Various types of industries emerged. Job opportunities grew. As a result, immigrants from other regions of the world found their way to the area; therefore, making it an area of diverse nationalities, religions, and cultures. Many structures were built to accommodate the rapid influx of people. The most popular of these being hotels. As populations grew, people passed away, and the area expanded, many stories developed around these hotels which led people to believe that they were plagued by real ghost mysteries. The New England states has the highest level of shared heritage of any other area within the country. These states have held the highest level of dominance within the history of America. Additionally, these states were considered to be the leaders of the earliest times in education, philosophy, culture, and politics. The earliest people in the area were Protestants from England. They sought out the area to pursue religious liberty. Numerous conflicts, major events in terms of the nation, and activities took place through these states – all of which seemed to contribute to the theory that the hotels within the area experienced many hauntings. We here at Haunted Places to Go feel that no history of the American Northeast is complete without sharing the true paranormal stories associated with the area’s haunted hotels. 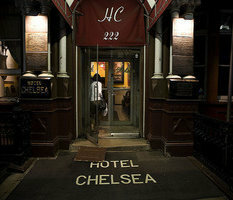 The ghost mysteries surrounding the region’s haunted hotels – such as The Shanley Hotel, The Equinox Hotel, and The Hotel Chelsea - have perplexed those that have directly experienced them throughout history. While many of the real ghost stories surround well-known historical people and places, others are a group of unexplained events – such as unusual and unexplained sounds, visual anomalies that cannot be rationalized, smells of unknown origins, and physical experiences that lack reason. If you are in pursuit of paranormal facts, true paranormal stories, a scary ghost story, or simply have an interest in ghost mysteries, this section on haunted hotels is for you! Have you experienced an unusual event, situation, or other type of unexplained mystery at a hotel situated in the American Northeast? We are always in search of real ghost stories, information on hauntings, and other types of paranormal facts pertaining to the haunted hotels in the Northeast region of the United States. Share your story today! The Hawthorne Hotel has had many famous guests and been utilized and seen in numerous television shows including “Bewitched”, and the Sci-Fi (Syfy) channels show “Ghost Hunters”. Both the staff and guests who have stayed at the Otesaga Hotel have reported many unusual experiences in the hotel which suggest that the presence of multiple spirits may reside within the structure. Consisting of an amazing thirty five rooms, and a mysteriously hidden basement area, the quote “The Spirits are Inn” is often associated with this particular structure. Learn about the history of this hotel as well as the famous ghosts that are rumored to be a part of the structure. 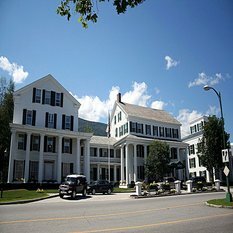 There have been a number of guests that have stated that they have experienced unusual and paranormal events while lodging at this popular resort in Manchester, Vermont. Have You Visited any Haunted Hotels in the Northeast? Have you had a paranormal experience while staying in a hotel in the Northeast? Did you see, hear, or feel something that you couldn't find a logical explanation for? If so, we want to hear from you! Share your haunted hotel story with our readers by providing as many details as possible and upload any photos you wish to share. Bizarre Experience in the Hawthorne Hotel in Salem, Mass.